This set of markers designed to draw on windows is so much fun! The markers are fully washable off windows, and other surfaces like fabric and skin. The neatest part of this set is that the markers have a crystal effect that makes them look like you are writing with frost! This is a set of eight color washable markers from the trusted name in coloring: Crayola. 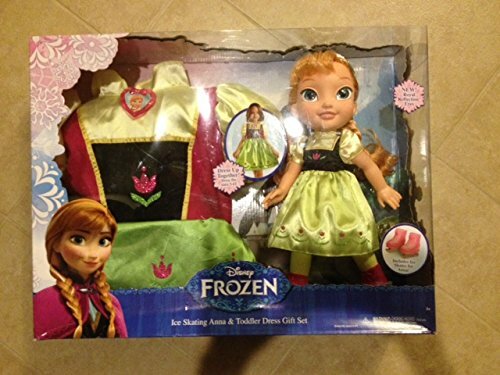 The crystal-effect markers in this Frozen-themed set look amazing when drawn on windows -- the sun shining through really makes the crystal effect sparkle! 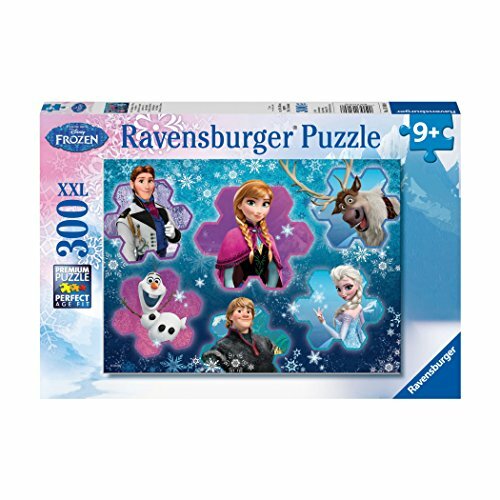 These frost-effect markers are highly rated and make a great affordable and creative gift for any Frozen fan! You'll get eight colors in this pack of Frozen Crystal Effects Window Markers: orange; yellow; green; blue' fuscia; red; white; and brown. 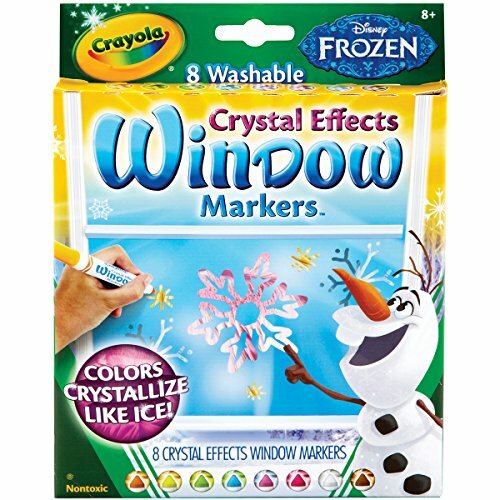 Draw snowflakes, your favorite Frozen characters, and anything else your imagination can create with this amazing washable crystal-style markers!